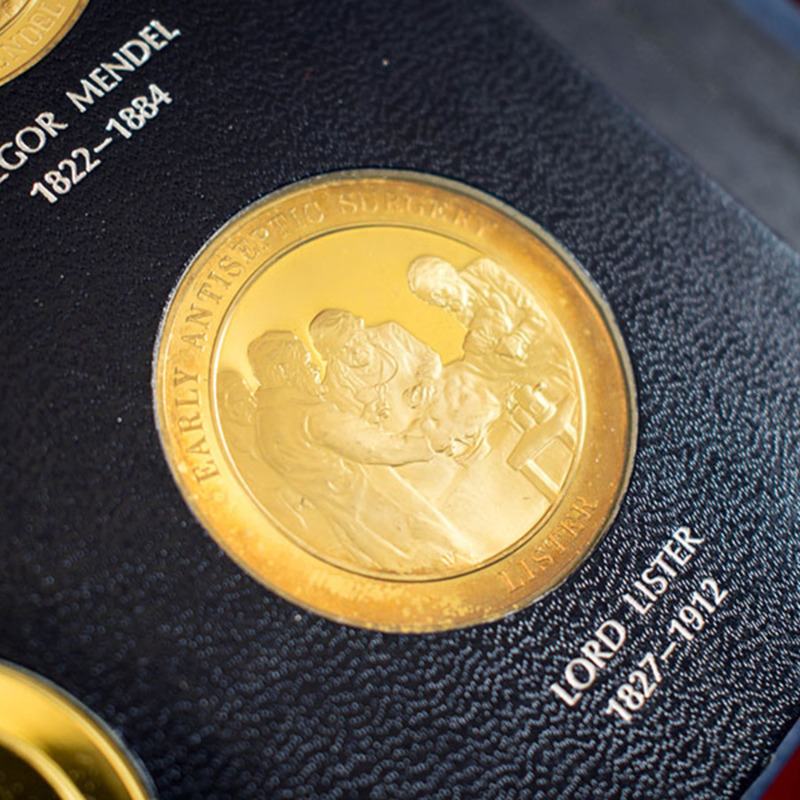 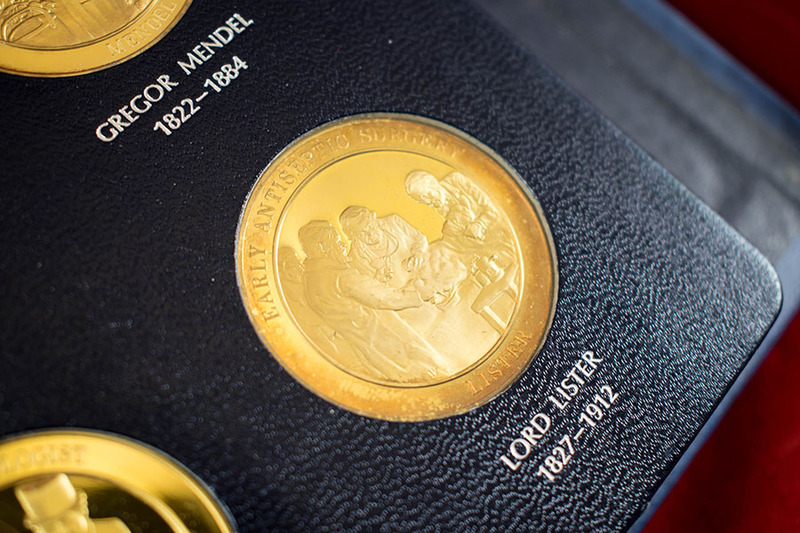 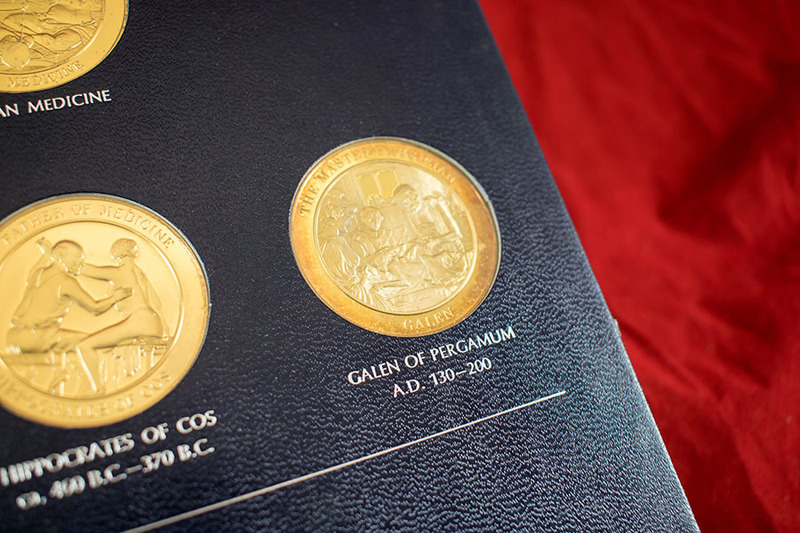 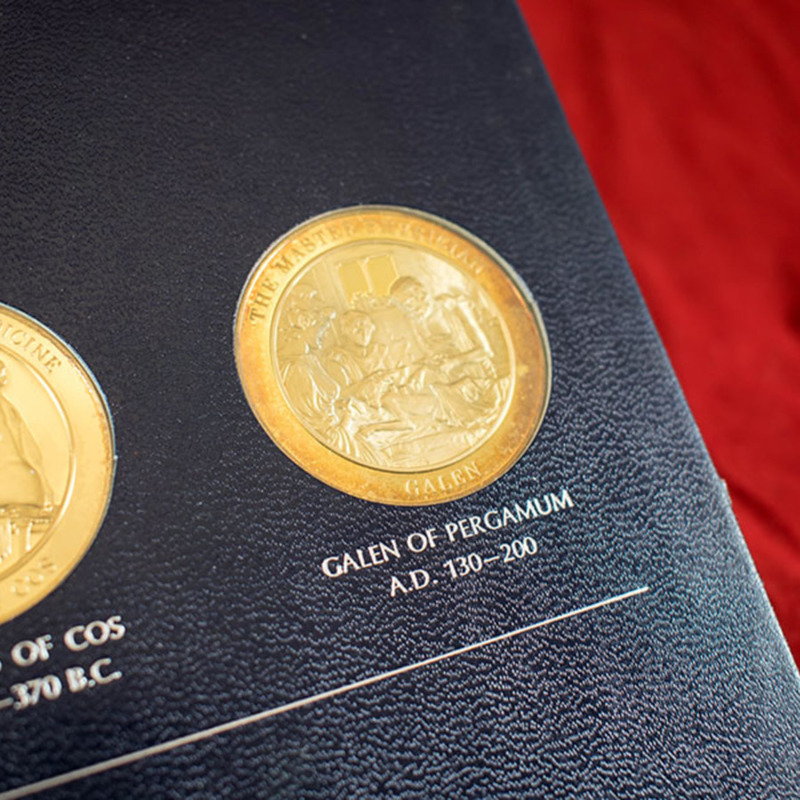 Book containing medals which represent significant individuals and developments throughout the history of medicine. 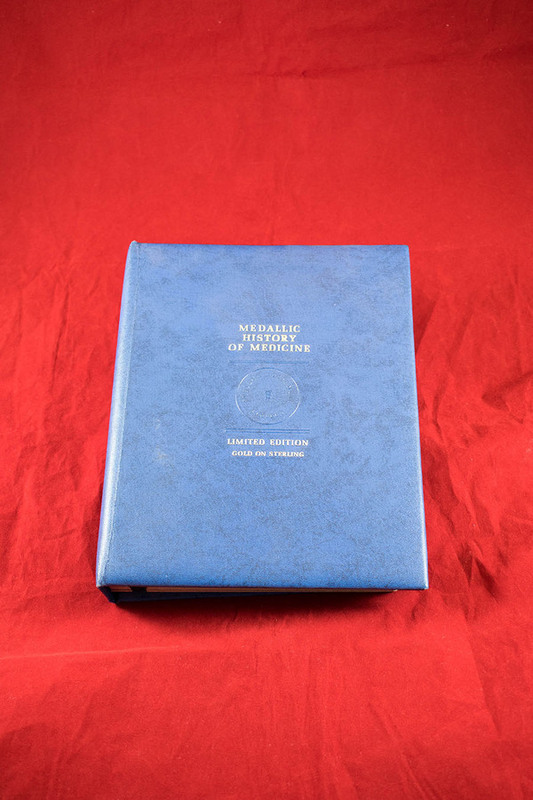 “Medallic History of Medicine,” Heritage, accessed April 23, 2019, https://heritage.rcpsg.ac.uk/items/show/601. 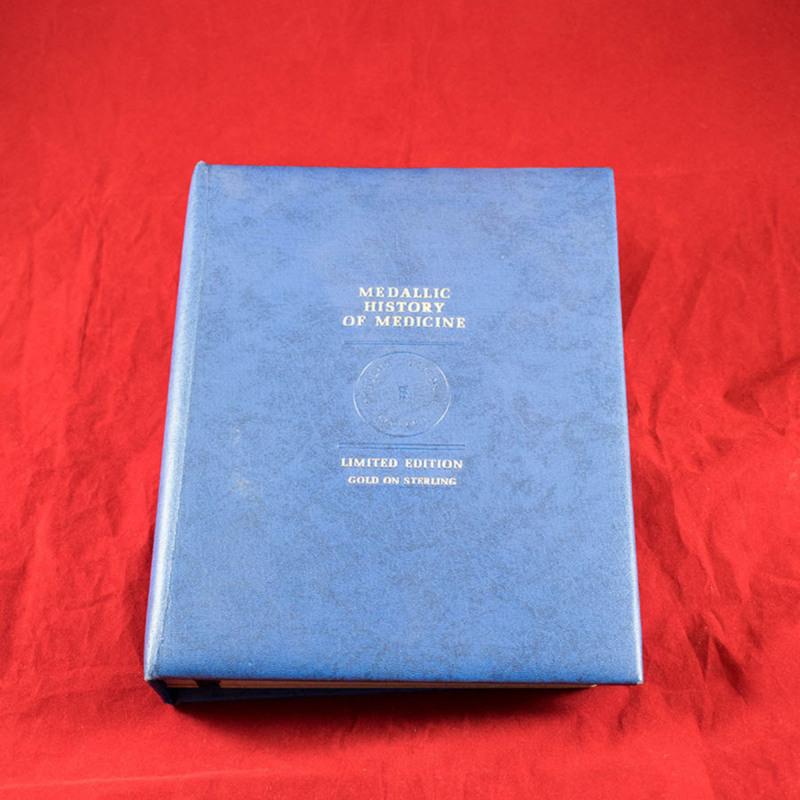 Description: Book containing medals which represent significant individuals and developments throughout the history of medicine.